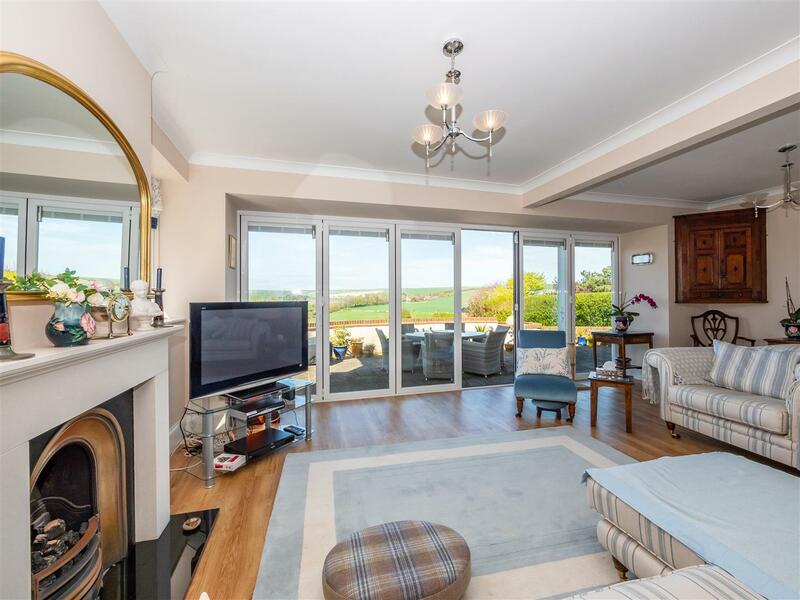 Rowland Gorringe are delighted to offer this detached four double bedroom house with stunning countryside views. 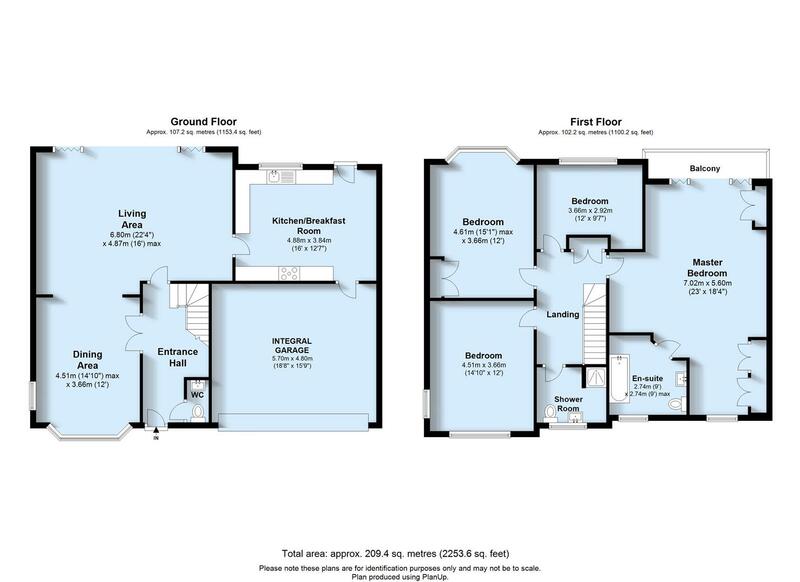 Comprising a dual aspect dining area, living area with Bifold doors onto a patio terrace , 16’ kitchen/breakfast room, cloakroom, integral double garage, a 23’ master bedroom with ensuite bathroom & balcony, family shower/WC and large landing with double airing cupboard. 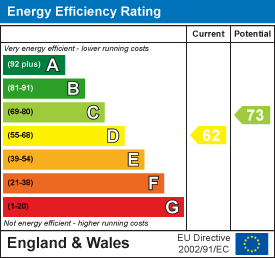 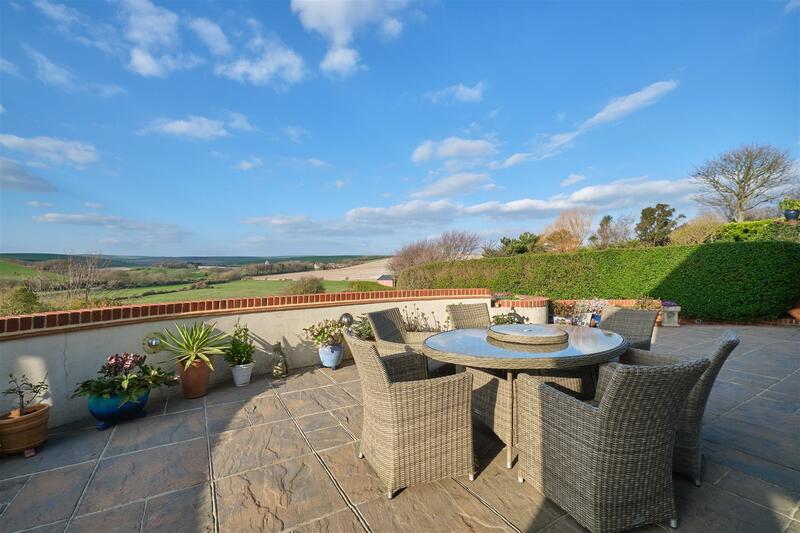 Outside there is a landscaped rear garden with patio terrace, sweeping steps to a central lawn and countryside views. 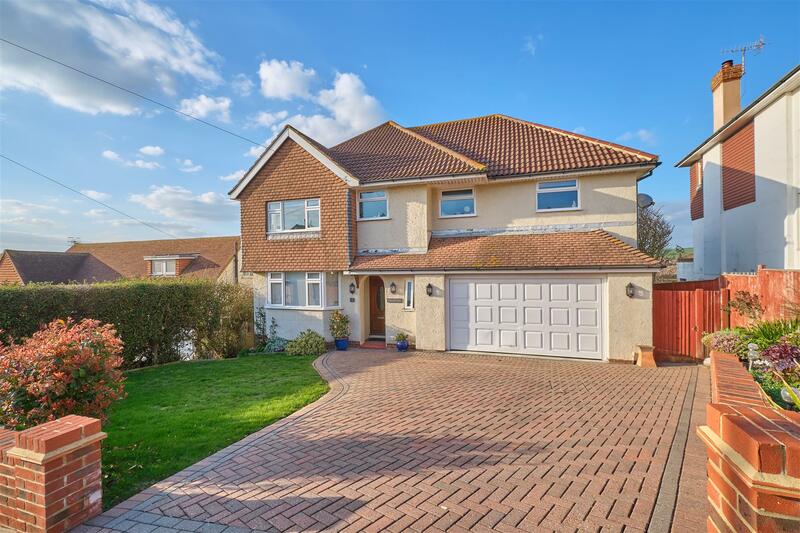 To the front a drive/hardstanding for several vehicles & a lawn running to the side. 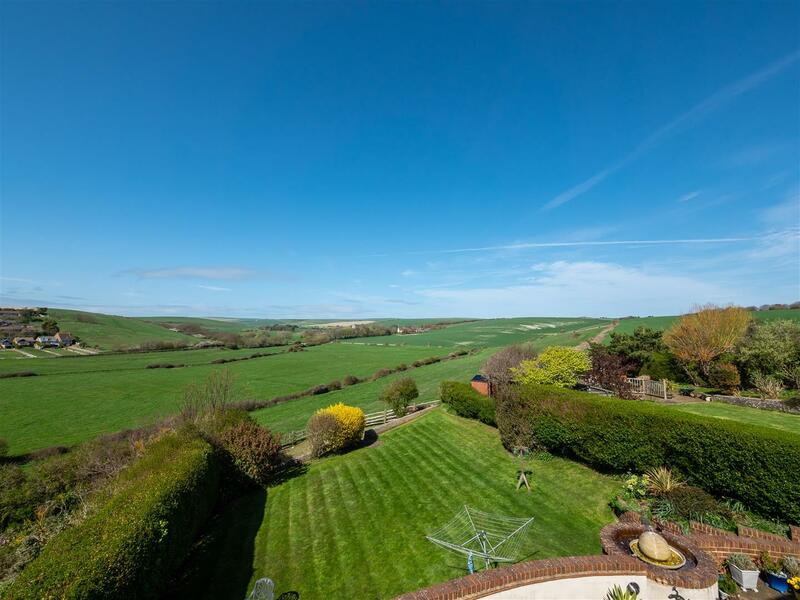 A detached four double bedroom house with stunning views over farmland to Bishopstone village. 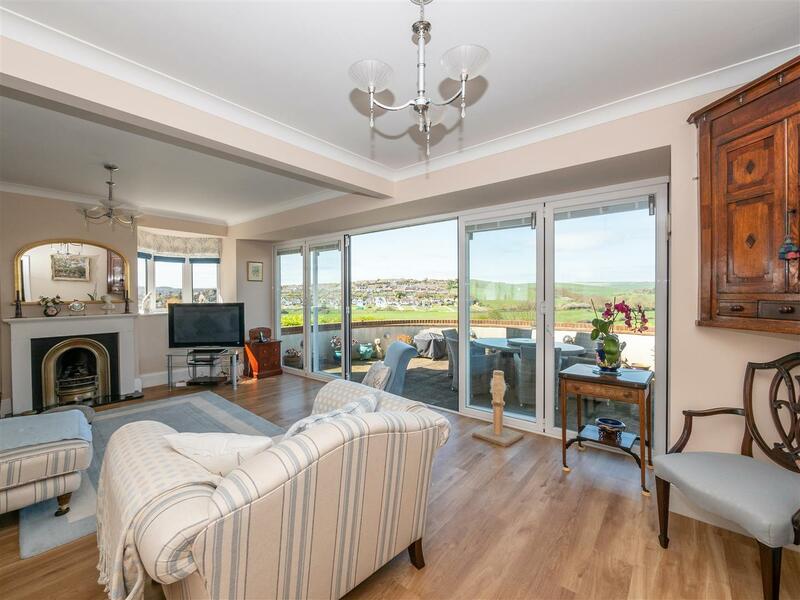 Immaculately presented, the house is spacious, light and enjoys views towards Newhaven Harbour and local South Downs National Park farmlands. 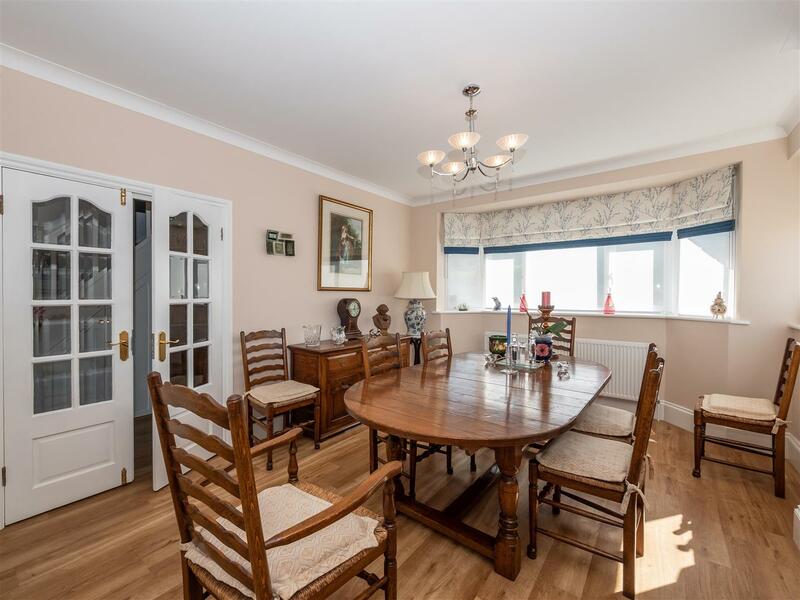 With an oak panelled entrance hallway, impressive through aspect dining room opens to the living area. 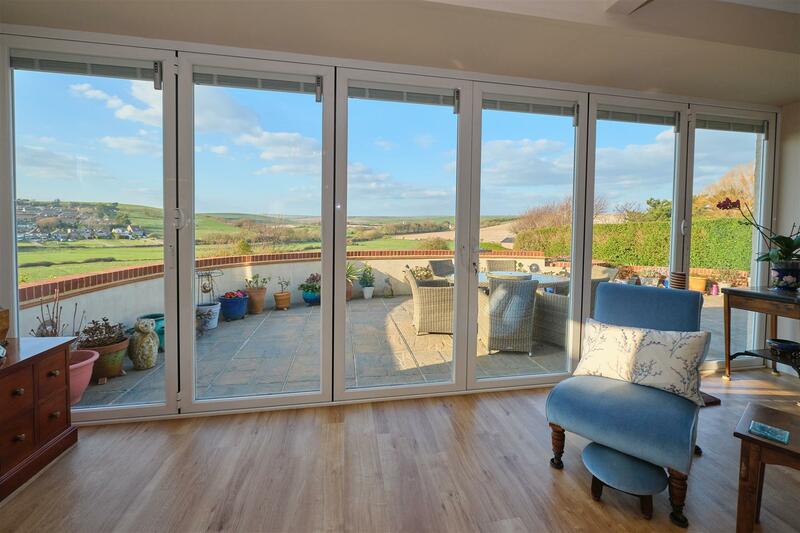 The living area has a dual aspect, two sets of bifold doors ( with solar powered blinds ) leading onto the impressive garden terrace and enjoying the farmland views. 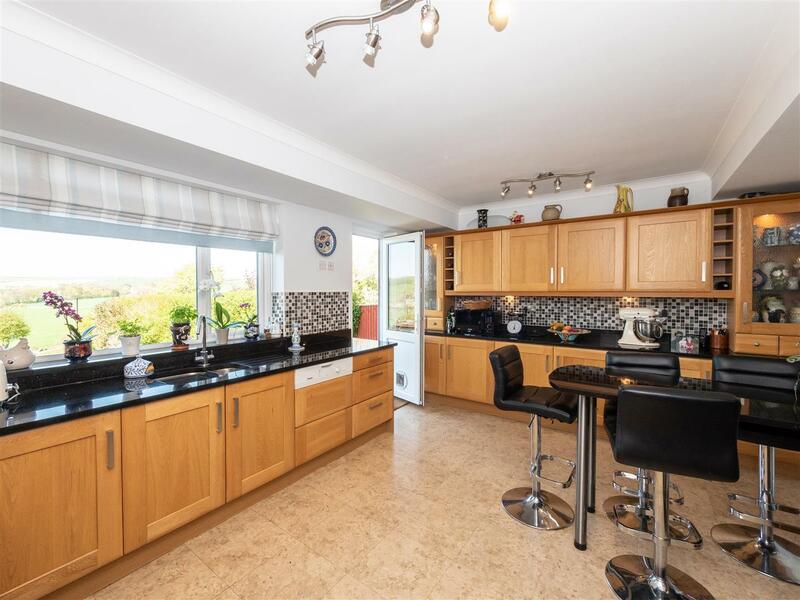 The modern kitchen/breakfast room has open views to the garden and countryside whilst an internal door from the kitchen leads into the double garage with its utility area. 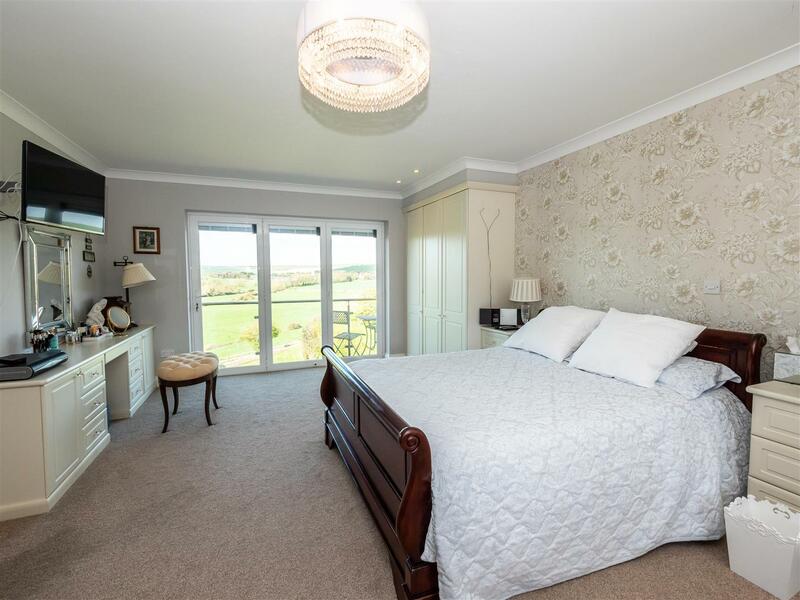 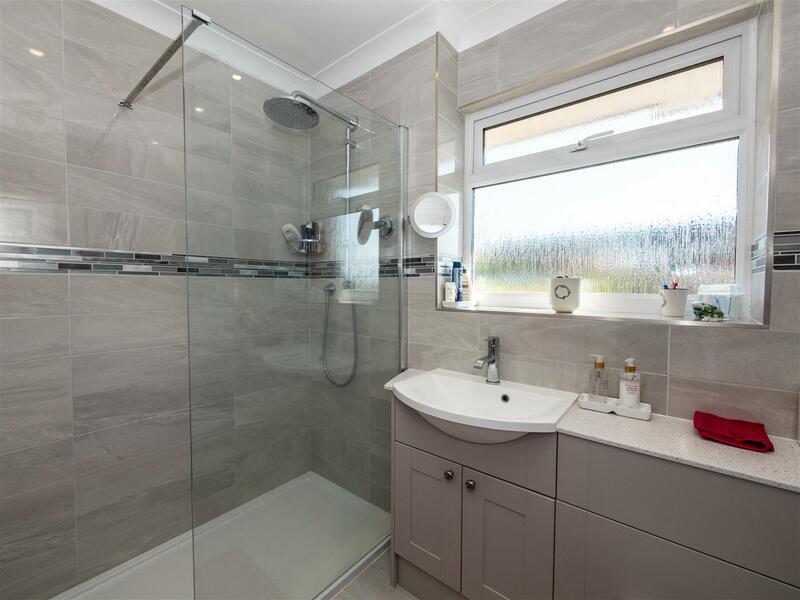 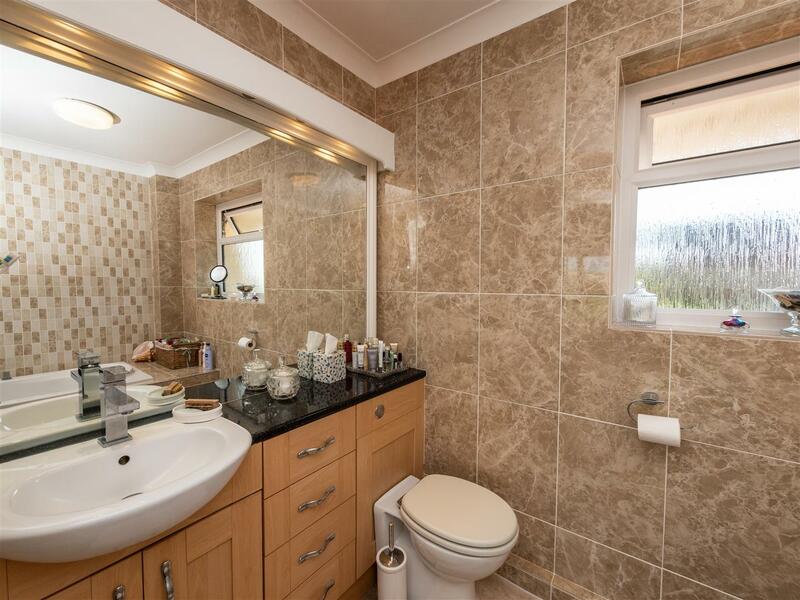 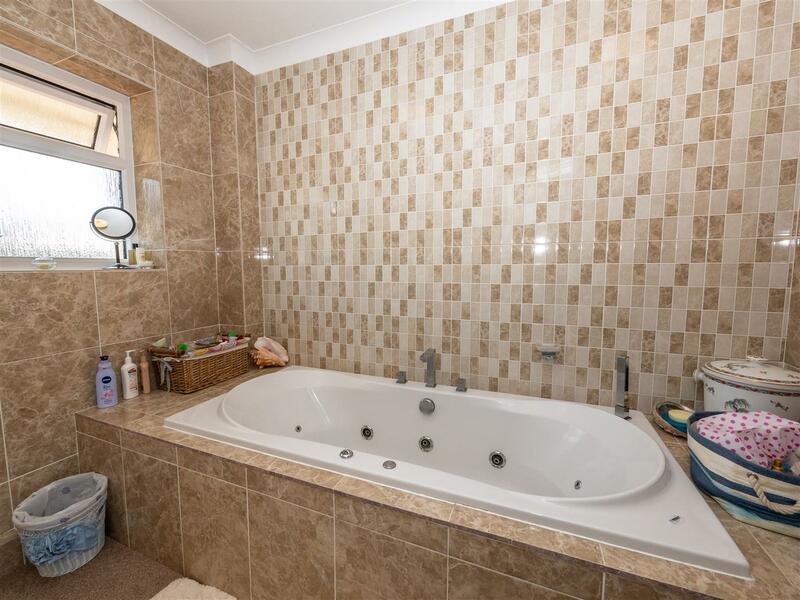 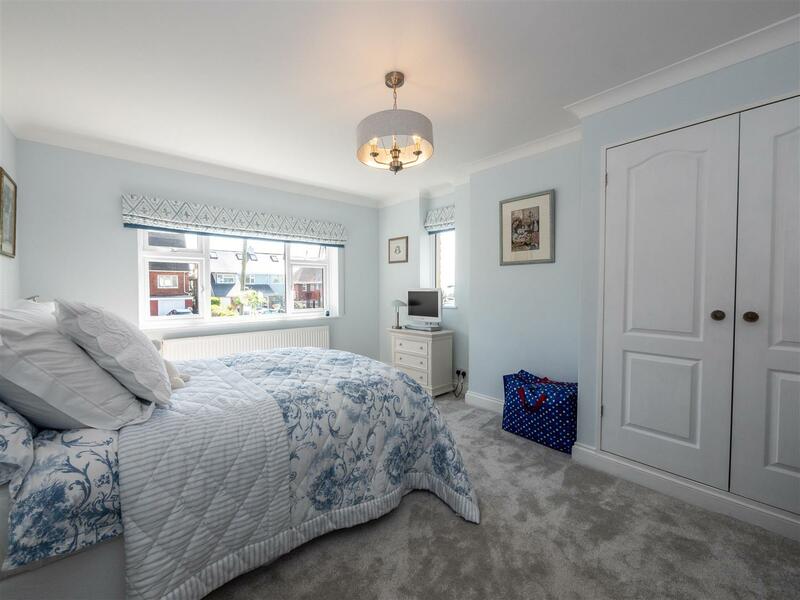 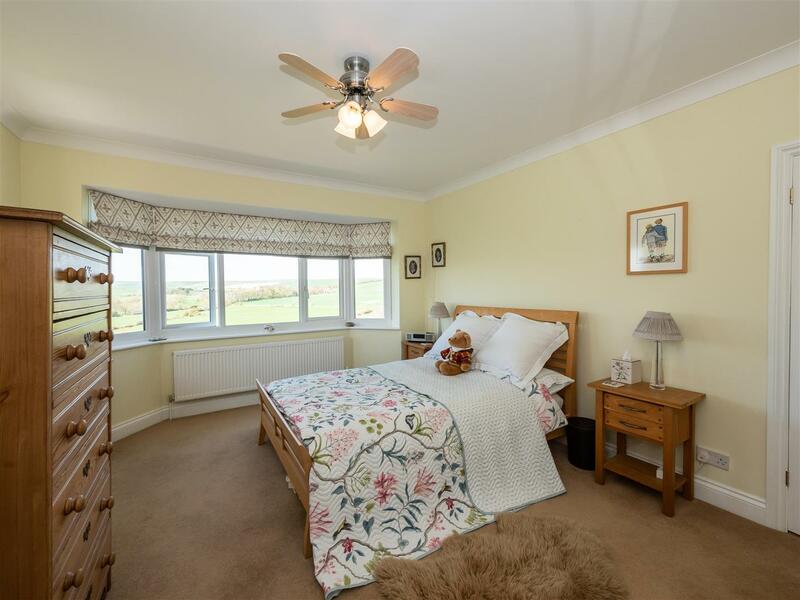 Upstairs there is a large landing with double airing cupboard, family shower/WC and the four double bedrooms, the master having dressing area, balcony and ensuite bathroom. 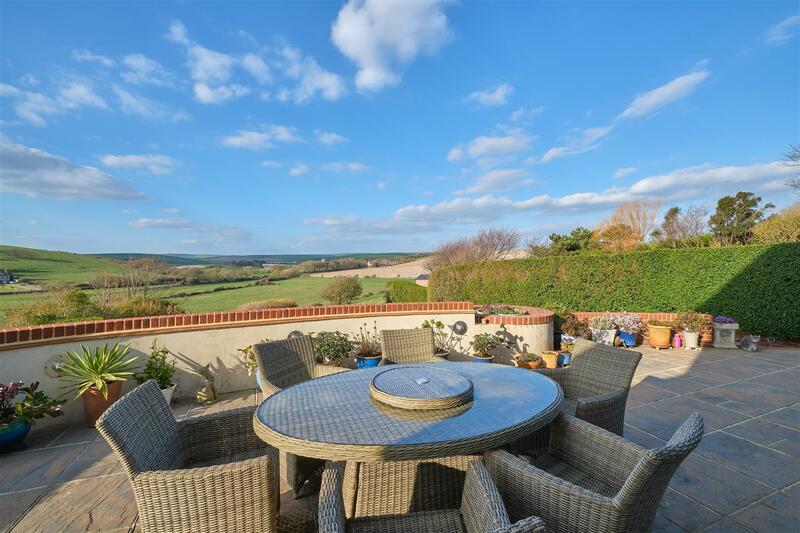 Outside the well tended and landscaped garden which enjoys stunning farmland views is primarily laid to lawn with sweeping steps leading to the patio terrace. 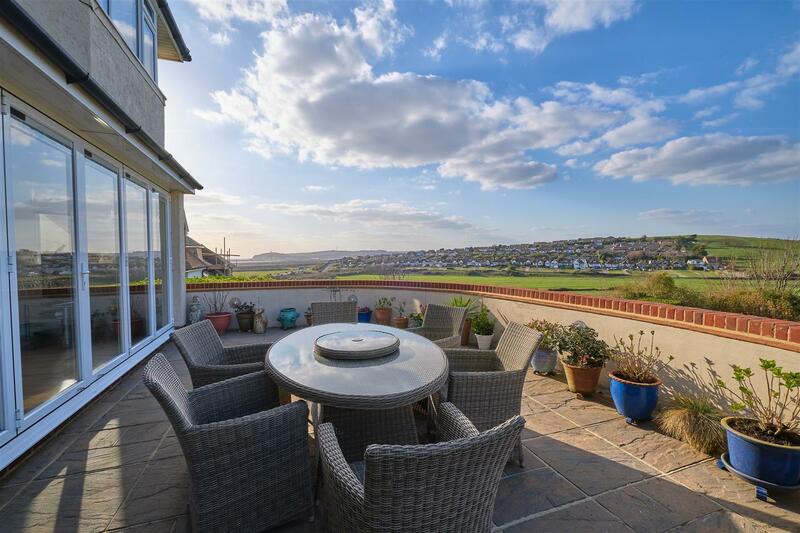 Below the terrace is a store/garden room with power and to the rear of the garden, adjacent to the fields a fenced area can be found which was once used as a vegetable garden. 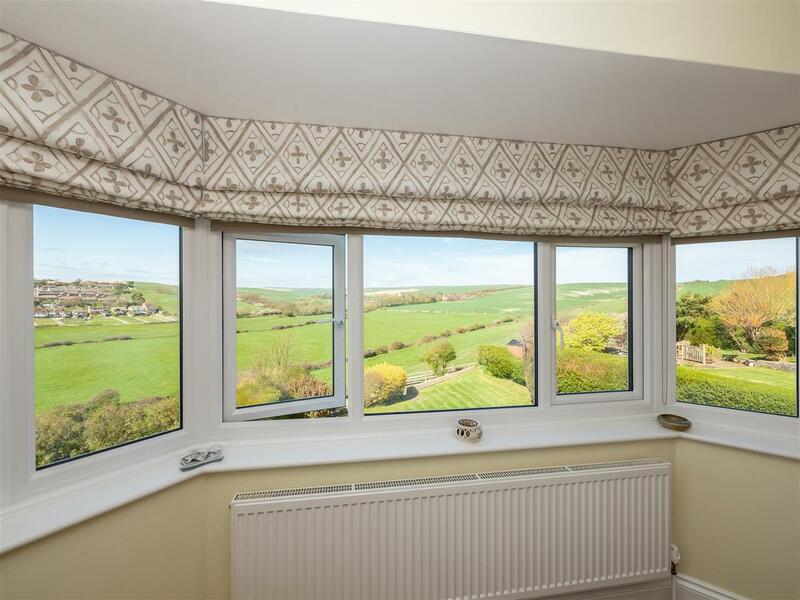 Popular and sought after, Hill Rise is ideally located having stunning views to both South Downs National Park & towards the sea,. 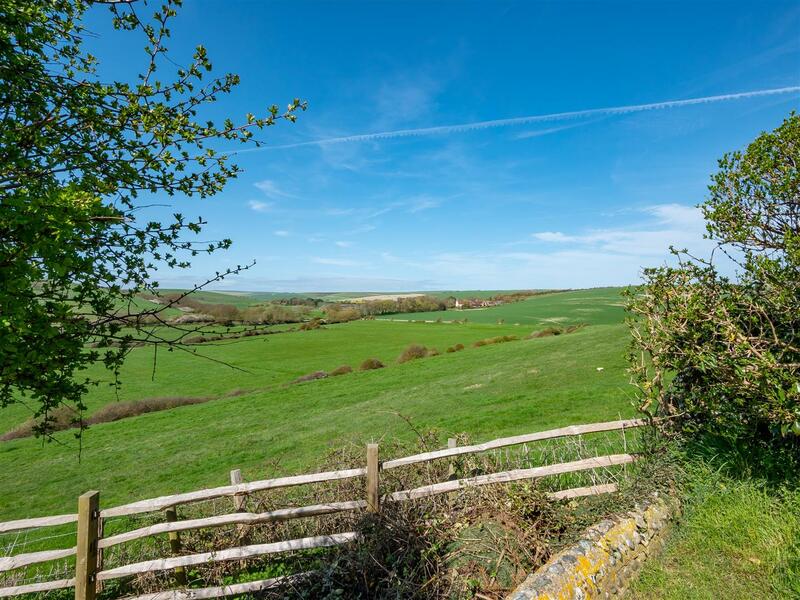 Picturesque walks over the South Downs, Seafront and Tidemills are close by . 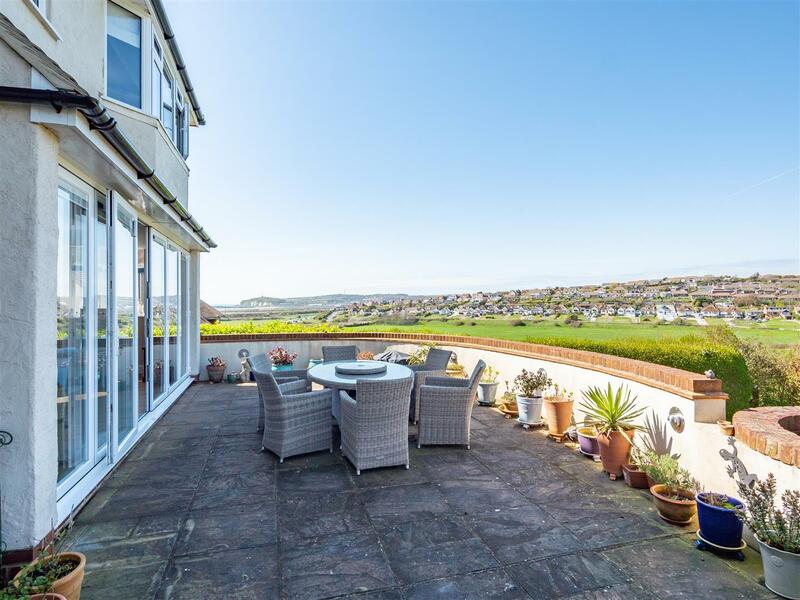 Seaford has a long uncommercialised beach and promenade, a wide range of shops, restaurants and cafes, railway station (London Victoria 90 minutes), bus services to Eastbourne, Brighton and surrounding villages. 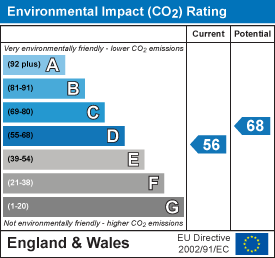 A Co-Op local store and local bus service can be found in nearby Princess Drive.